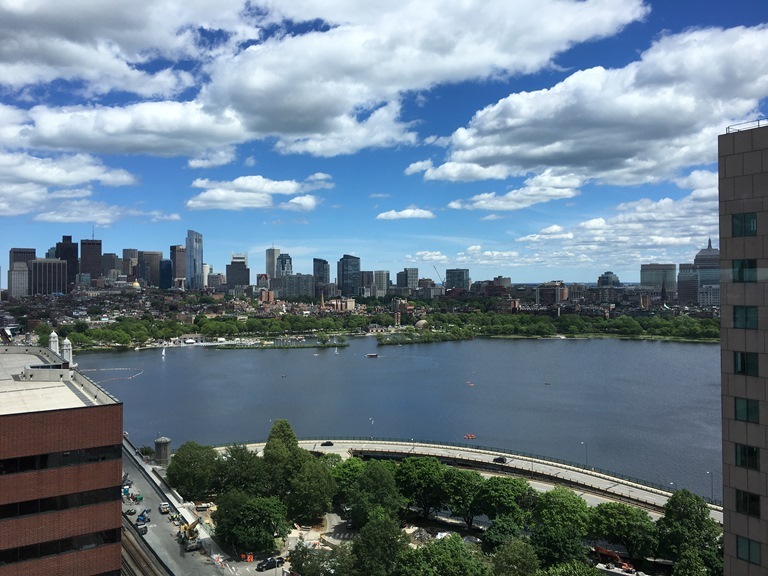 Things are heating up in downtown Boston! Summer normally brings warm lazy days but it hasn’t slowed us down a bit. Here’s an insight to what we’ve been up to. 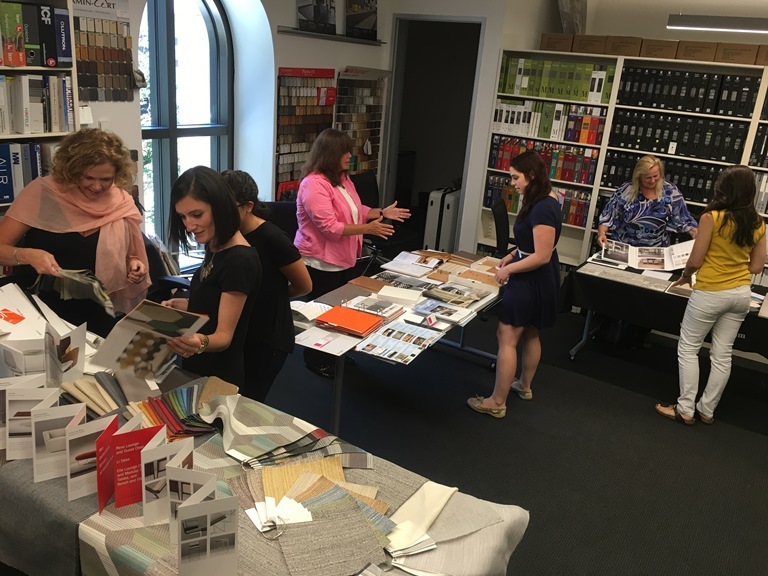 A new twist to the normal lunch & learn where vendors from Deb Evans & Associates, Garden State Tile, and Hamilton Associates set up “booth style” showings of some of their newest materials. The goal was to allow the lunch & learn to be more of a collaborative experience so more questions could be asked and more information could be shared. 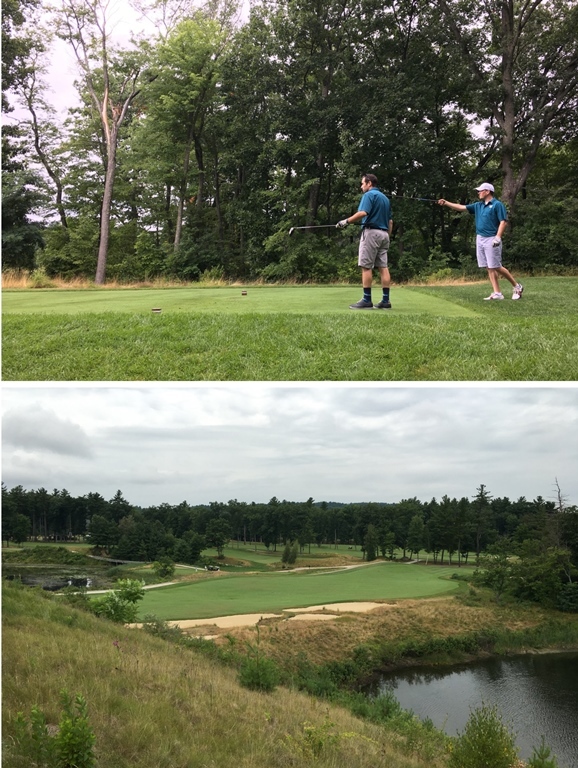 VC was honored to participate in the 8th Annual Shaw Contract Golf Outing. Our friend Jim Coen and Shaw Contract Group have generously elected to donate the proceeds from the tournament to the Burton Visnick and Long XinRong Visnick Travel Fellowship at the University of Minnesota: College of Design for the second year. VC had a great time hanging out on the green and practicing their golf swings. Thank you, Shaw! 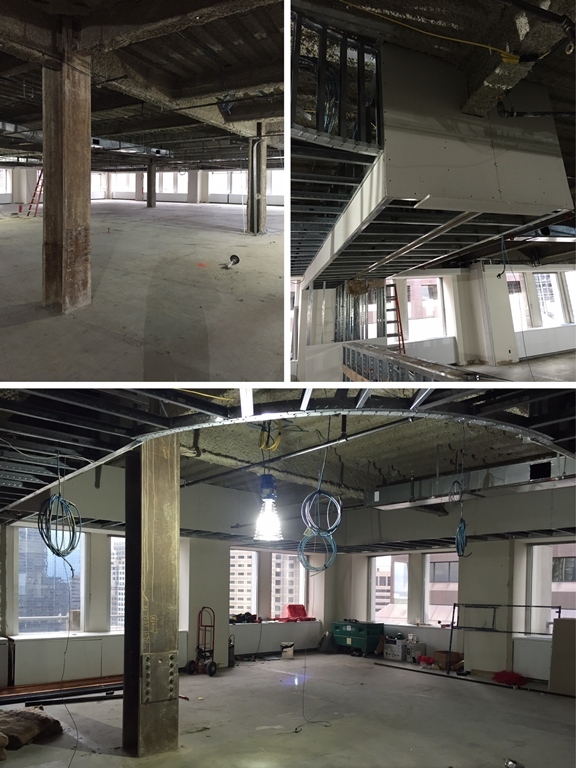 Construction is well underway at the spec office at 101 Federal Street. We are working with Rockhill Management to provide them with a new space to show potential tenants. 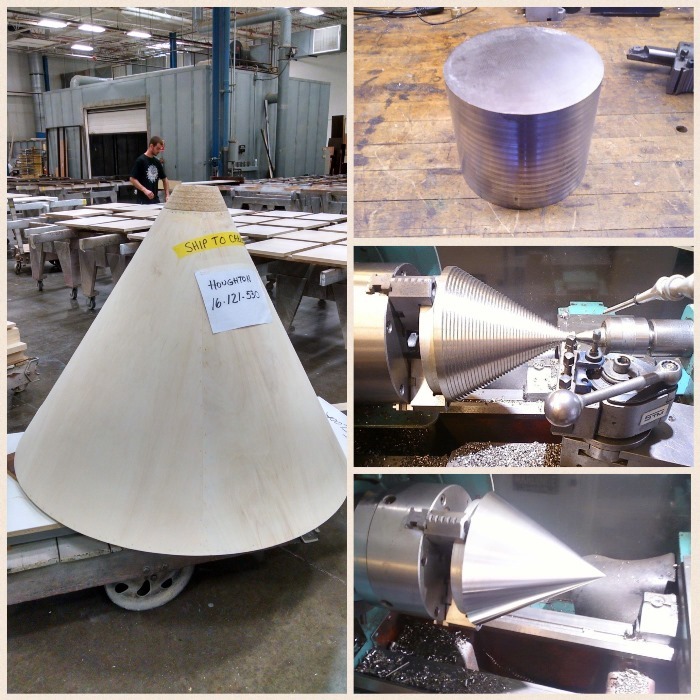 Here is a sneak peek into HMH’s one of a kind reception desk which was inspired by their company logo. The millwork is being done by Legere Group, LTD and should be completed shortly. 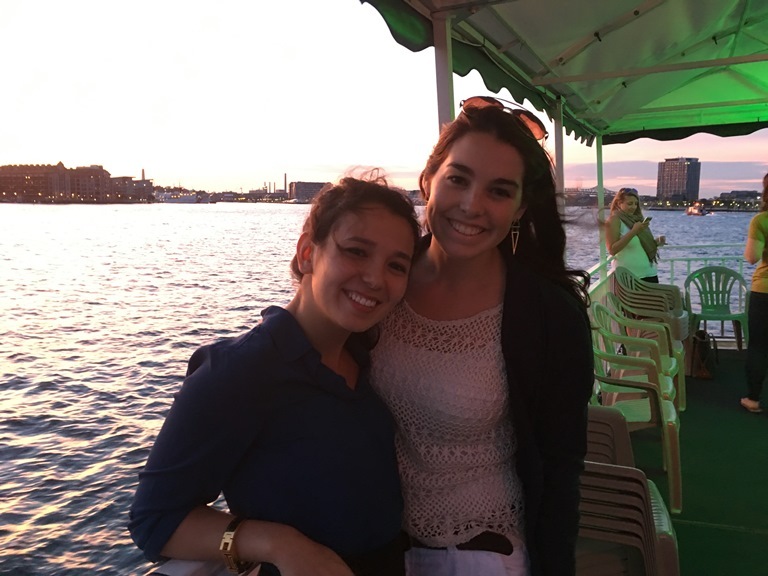 Another great boat tour put together by J. Calnan & Associates. 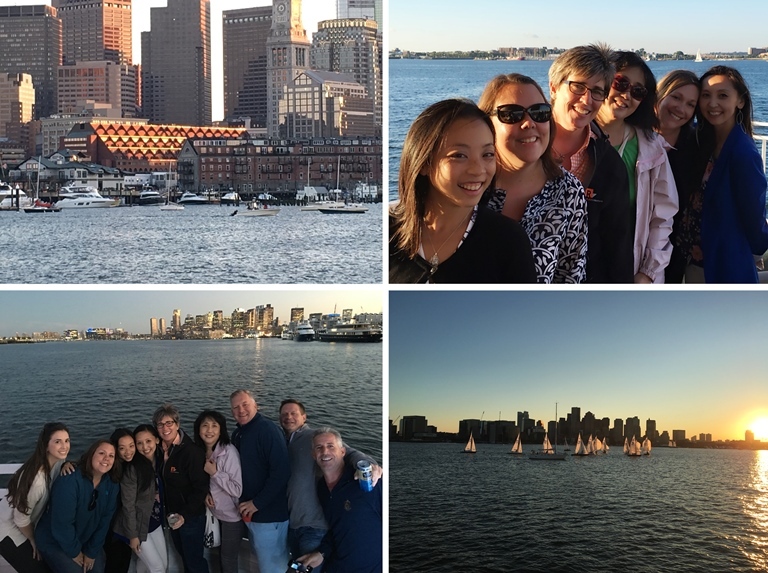 A handful of VCers accompanied them on a beautiful tour around the Boston Harbor to watch the sunset. 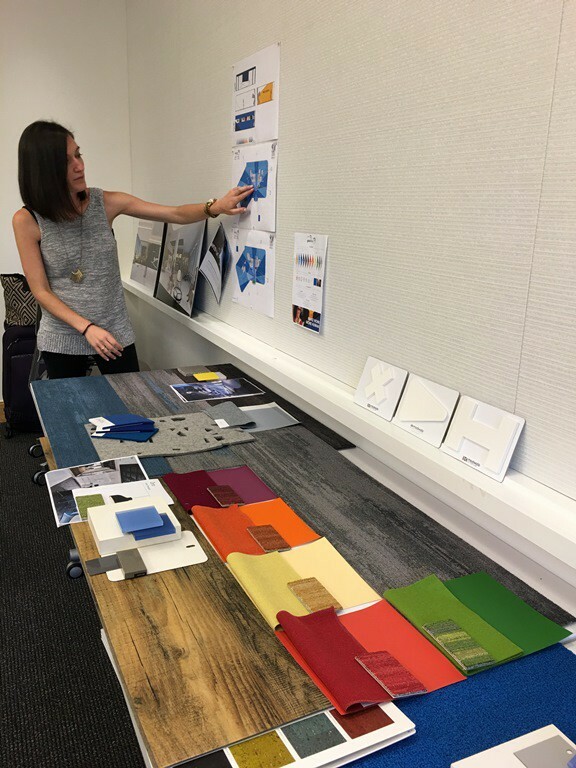 Daniela Maher, Senior Associate, leads the charge during a finish meeting to show one of our clients some potential schemes that were pulled for their new office. As summer starts to come to a close we are excited to see what the other half of the year will bring. Check back soon.